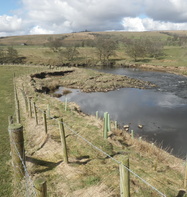 We’re so pleased to be offsetting the environmental impact of our carbon emissions with help from the Tyne Rivers Trust. Our Let’s Think Green Team (LTGT) provided the Trust with a £5,000 grant to fund a project that will help to offset our carbon emissions. 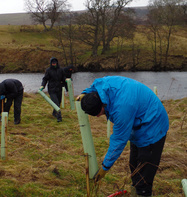 Tyne Rivers Trust has used the grant to establish a new project that has been instrumental in kick starting a tree planting programme across Northumberland, also encouraging more partners and volunteers to get involved. Andrew Davison, who leads LTGT, said: “The commitment by Muckle to reduce its impact on the environment involves using the Legal Sector Alliance’s carbon calculation tool to calculate the amount of carbon dioxide produced by the firm. This helps us to focus on reducing emissions where possible, and offsetting the remainder through carbon-reducing or carbon capturing projects. We set up our Let’s Think Green Team eight years ago to encourage, challenge and enthuse staff to care more about the environment. The carbon offset project is just one of many techniques that we use to reduce our impact on the environment. Our people have worked on a range of footprint reducing strategies, including replacing a petrol pool car with a new zero emissions, battery powered Nissan LEAF and reducing its paper recycling by 11.9 tonnes – around the weight of 150 people. Earlier this year, we were nominated for a Green Award in the North East Business Awards 2015. Last year we also became the first organisation to be awarded the Go Smarter to Work Gold award for our ongoing commitment to encouraging sustainable travel. The role of our LTGT is to continually review the sustainability of Muckle’s business practices in order to identify areas for potential improvement. The team then encourages people at Muckle to actively participate in finding ways to live and work in a more sustainable manner. 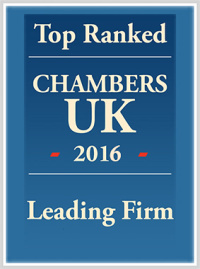 The involvement of everyone within Muckle has helped us to achieve the environmental management ISO14001 accreditation and we remain one of only a handful of law firms across the UK to have achieved this award. If you would like more information on this or any other LTGT project please contact Andrew Davison on 0191 211 7950 or email [email protected].